In the Summer of 2014, I started wondering if I was approaching the limits of my ability to improve as a runner. Sporting a leaner upper body due to more cardiovascular training and less strength training, I still couldn’t get under 8 minutes per mile for much longer than 5K. As a result, I would be confined to middle of the pack age group finishes in all but the smallest of the local races. While I have no problem with not winning, the competitive side of me still wanted a goal. I have always had my eye on the triathlon as a possible alternative or complement to my running. Albeit never a trained swimmer, I spent a lot of time in pools and lakes growing up and have always felt at home in the water. I also knew from experience that my legs would adapt well to cycling. So with dreams of passing triathletes during the run dancing through my head, I dipped my toes into the murky waters of the triathlon. I bought my bike, a Kestrel Talon, in August 2014. I think I wrecked it the first time in…oh, I don’t know…let’s say…August 2014. After months of trying to convince myself to make it to LifeTime consistently for swimming, I finally broke down and started training with the masters at the Jenks pool. Since my kids are part of the Jenks swim team, it made it easy for me to train during their workouts. Wearing jammers in front of other Jenks swim parents didn’t really excite me, but I got over it. It took quite a while, but I finally got into a rhythm with the training. I would usually ride 2x per week during lunch and then swim 2x per week during my kids’ practice. Running continued to be 2x per week during lunch, and I would often add either a weekend long run, bike ride, or both. After running the Oklahoma City Memorial Marathon in late April, I had to take off most of May to get over an achilles injury, and then I traveled with my family to China for most of June. A lot of the work I had done toward the triathlon was lost. On top of recovery from injury, I dropped 20 pounds while I was in China. That is not a typo. I occasionally mention my GI problems on the blog, and this is an unavoidable consequence of them. I’m sure you’ll call it an eating disorder, but given that I don’t really do it by choice, I just call it a massive inconvenience. When I travel, I drastically reduce my food intake and retreat to the safest foods possible. Under some circumstances, I will skip multiple meals and/or substitute something like 100 calories in EnergyBITS for an entire meal. 20 days in China really took its toll on me physically. I lost a lot of fat, but I also lost quite a bit of muscle. My original plan had been to compete in the Red Man Triathlon in September in Oklahoma City, but I really wanted some kind of warm up event to make sure I had the equipment and transitions figured out. When I returned from China, I found out that the Tulsa Triathlon had been postponed due to flooding and would be rescheduled for late July. 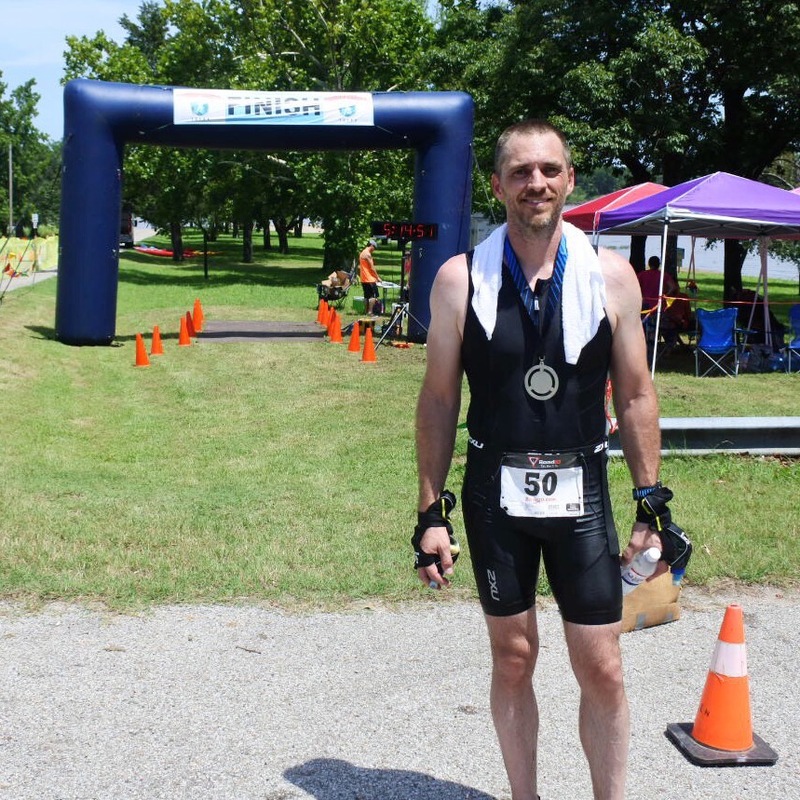 The Tulsa Triathlon offered Sprint, Olympic, and 50 mile distances so with 3 weeks to train, I saw no reason why I shouldn’t enter the 50 mile event. Yeah, that’s how my brain works. The biggest challenge in training was trying to get my heat tolerance where it needed to be. I’m normally perfectly happy in the heat, but my month in China, filled with hot weather and long days of walking though it may have been, stole a month of my usual heat adaptation. In the mid-day heat of July in Oklahoma, my body just couldn’t handle running. I went in to the event knowing it might be a problem but hoping some shade and water dumped on my head every so often would carry me through. I knew from my time with the masters swimmers that I would not be fastest, but if nothing went terribly wrong, I wouldn’t be the slowest either. On most days at the pool, I was cranking at about 2:00 per 100 meters, but this would be my first time testing myself in open water without the occasional break at the wall to catch my breath. 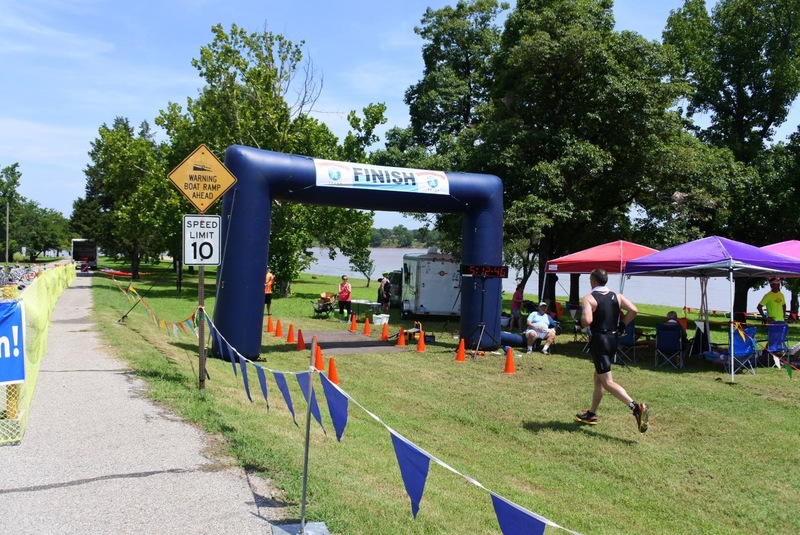 The event took place at Lake Heyburn, a smaller lake about 30 minutes from Tulsa near Kellyville. 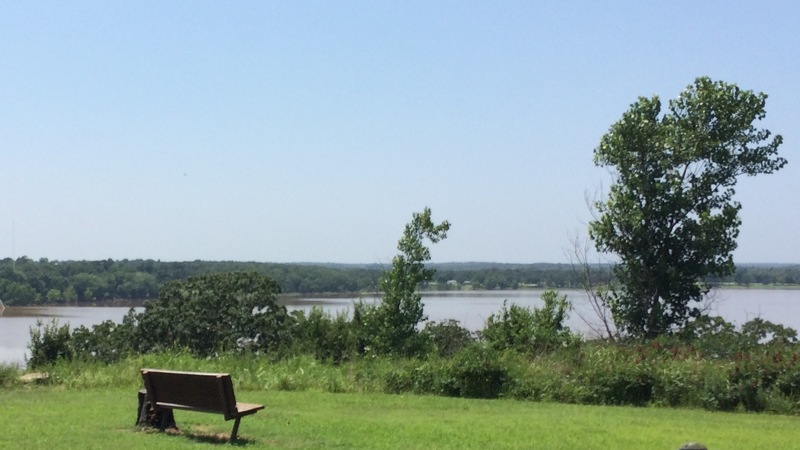 Lake Heyburn is one of those Oklahoma lakes that looks a little like your favorite Starbuck’s drink. The clay soil keeps the water nice and red so you don’t have to worry about seeing what sea creatures might bite you as you cough and sputter your way around the 2-lap triathlon course. After a slight delay for a breakaway course buoy, we were off. Since it’s a fairly small race, the start wasn’t as bad as what you often read about online. My biggest problem was that I wasn’t sighting well due to lack of practice, and I completely flubbed the first buoy to start the course. From there, I set off toward the second buoy of the triangular course. Swimming basically parallel to the shore, it was probably 300 meters to that buoy. My biggest problem on this stretch was maintaining a straight line. You take for granted the markings in a clear pool to help you maintain your heading, and I had trouble finding a rhythm for breathing and sighting that wasn’t wasting a bunch of time. I think it was in this first lap that one of my friendly competitors found me going off course and decided to sink me. I know a lot of people panic at their first triathlon when a competitor pushes them under, but like I said, I really am very comfortable in the water even if I’m not the fastest swimmer. If I hadn’t been at fault for failing to hold my line, we might have had a disagreement. There may have been one more collision on that first lap, but I began swimming pretty far outside the buoy line to try to avoid messing up anyone’s race. When I made the turn for the 2nd lap, I decided to breaststroke a bit to see where I was and catch my breath. All systems checked out so I took off again. This time my drift got so bad that I found myself almost to shore when I felt something on my hand. I had initially thought it was the foot of a swimmer in front of me, but I was a good 10 meters off the line so it seems I had an encounter with an aquatic creature. Shortly after touching my hand, it hit me in the chest. I guess I was too big or not tasty enough for breakfast. The rest of the 2nd lap was a major beatdown. It honestly felt like I would never make it to that first stupid buoy at the far end of the course. As it turns out, the course went long because the buoy broke lose from its tether. The reason I felt like I was making no progress when sighting the buoy was because I wasn’t. The buoy was running away just as fast as I was chasing it. Most estimates have us swimming 2,200 or more meters for what was supposed to be a 1,500 meter course. When I got out of the water and looked at my watch, though, I saw 45 minutes and 2,200 meters and thought I had zig-zagged so badly that I had added 700 meters to my swim. So that was a bit of a downer, but I knew the swim was my weakest event, and I was honestly much more worried about the hills on the bike. The day before the race, I drove the bike course just to get an idea of the elevation changes and the turns. What I found was far beyond anything I had ridden. I don’t train to avoid hills, but I also don’t train to encounter them either. I spend most of my time on the Riverparks trail system, and you just don’t find long, rolling hills like what the Tulsa Triathlon course offered out on Route 66. Even where you do have some rolling hills, there just aren’t enough of them to compare. Given my lack of training, my strategy was to conserve my energy uphill and push hard on the downhill. My cardiovascular system was in better shape than my quads so that was really my only strategy. On this course, that frequently meant swinging from 12-15 mph uphill to 35 mph+ downhill, but they were long hills so I often felt like I was going nowhere while climbing some of the hills. On the 40 mile course, I was able to average 17 mph which I consider a serious win given my level of training. After wasting a considerable amount of time in transition (slowest transition of the field…wohoo! ), I set out on the run. I was so happy to be out of the water and off of the bike that I had no care in the world about pace. I knew how to run with burnt quads so all systems were go, and I was probably running around 8:00 to 8:15 pace. I was so happy that when I saw the first aid station at the beginning of the run loop, I turned down the cold towels they were handing out to all runners. That was a mistake. The heat and the hills quickly caught up to me. Within 1/2 mile, I was questioning why I wasn’t feeling right. After running the first hill, I was forced to walk to the next aid station. The 2nd aid station was around the halfway point of the 5K loop. For the 50 mile distance, we were running 3 5K loops. I filled up on water, dumped a bunch on my head, let the kid with the squirt gun spray me as much as he liked, and then set out across the Lake Heyburn dam. By the time I got back to the same aid station, I had to do the same dance again. Water, water, more water, and I was still overheating. That’s basically the story of my run. I had to run-walk the entire 15K run. It was the first time I had ever gotten to run in temperatures that I love running in, and I failed miserably. On the 2nd lap, I kind of figured out how to keep my body cool, but it was all too far gone. We were running in a 110 degree heat index with absolutely no shade on an extremely hilly course. You can’t let the needle move as close to heat exhaustion as I did and come back from it. My 3rd lap was faster, but I still only managed to notch a 12:57 pace over the full 15K distance, little better than walking the entire 15K. For the 1500 meter swim (hardy-har-har), 40 mile bike, and 15K run, I finished in 5:12:48. Much like most running races, I finished in the middle of the pack. Due to the number of competitors, I actually took home an award for 3rd place in my age group. During the last few miles of the bike and most of the run, I didn’t feel right. In training and racing both, I’ve logged some serious time from blowing up for whatever reason, and I had never felt quite like I did during the triathlon. 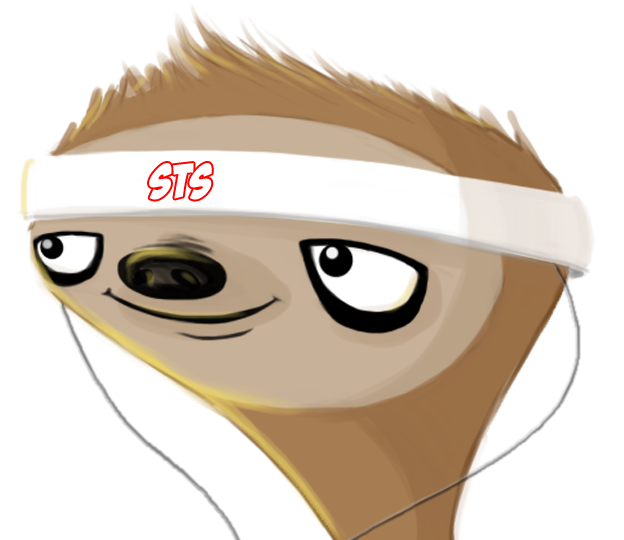 Heat couldn’t explain all of it, nor could my lack of training. In truth, I felt fine later that same day most likely due to the fact that I was forced to walk so much of the run course. My legs were still itching for a run since they hadn’t really run that day, at least not the way they’re used to running. Within a couple of days, my body gave me the answer. I had picked up some kind of stomach bug. Now, to be completely honest, I could have picked it up before the race, but due to the digestive issues I have already, I take a lot of precautions with food heading into a race. The odds of me having picked up a bacterial infection were slim, and given that school was out, the odds of a viral stomach bug were equally slim. I believe I picked up something from Lake Heyburn that morning. That would explain why I felt I needed tons more fuel at the end of the bike even though I had been fueling more than normal for a bike ride. It also explains some of my struggle to stay hydrated in the heat. My body just wasn’t digesting the electrolytes in my gel, and due to the fact that I can’t consume gatorade, I was stuck. I had no alternatives. Keep in mind, I grew up water skiing in Lake Carl Blackwell, a lake that looks every bit as nasty as Lake Heyburn. Picking up some kind of bacterial infection wasn’t even on my radar, but when I did some research after the fact online, it appears to be a pretty common issue. It’s often exacerbated by heavy rains and flooding of which Lake Heyburn had received both in spades in the weeks leading into the triathlon. They even had a greywater disposal pond within site of the swim start and who knows what kind of farms are distributed around the perimeter of the lake. Suffice it to say I’m having second-thoughts about my interest in the triathlon. For my level of fitness at the time, the Tulsa Triathlon could be considered a success, but I fought with a stomach bug for over a month following the event. No, I wasn’t puking every day, but in the interests of avoiding TMI, let’s just agree that I was not “normal” for over a month. For a person who spent the better part of a decade fighting to find some kind of “normal,” it wasn’t a good experience reliving that time in my life. Looking at the times logged for the 50 mile event, I could definitely be competitive if properly trained and healthy, but at this point, I don’t know if I want to climb back into another Oklahoma lake. I might be willing to climb into the Atlantic, but that’s a much bigger financial commitment than I want to make right now. 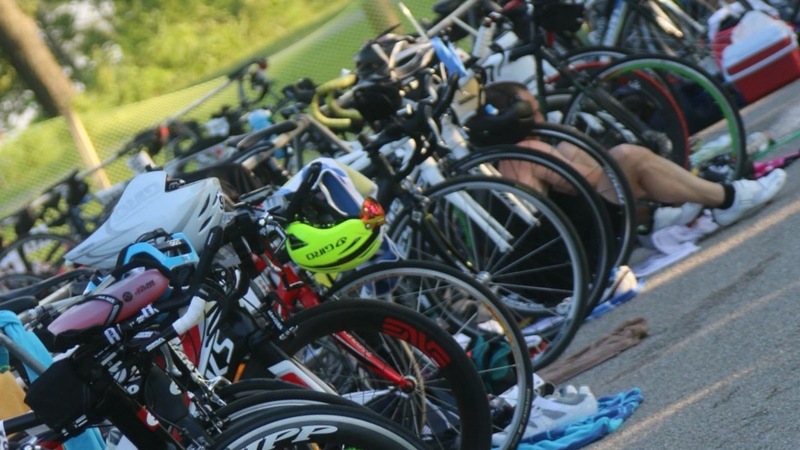 This entry was posted in Triathlon and tagged racing, training, triathlon by Jason. Bookmark the permalink.